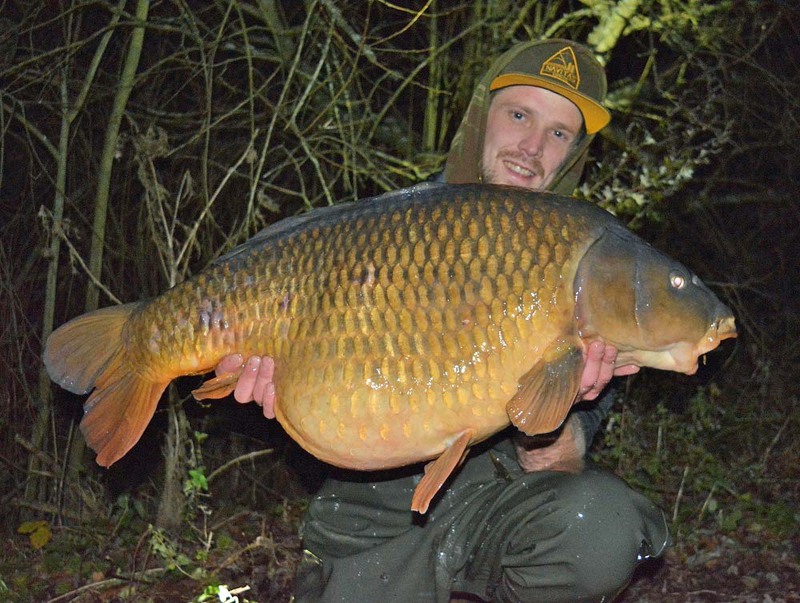 While the nation has been gripped by what has been one of the coldest winters for decades, the sub-zero temperatures have done little to stand in the way of carper Richie Leat…. The Wiltshire based rod is currently enjoying his best ever carp fishing seasons after slipping the net under an incredible three forties, 16 thirties and 12 twenties in the space of just three months, all using our Monster Tiger Nut boilies. The 43lb Scar common. One of Richie’s three forties in a session from the New Forest Syndicate. Richie’s winning approach is to use maggots flossed onto trimmed down Monster Tiger pop-ups fished over his special spod mix which includes Frenzied Hemp, maggots, crumbed Monster Tiger Nut boilies and flavoured with three of our new Evolution Oils. 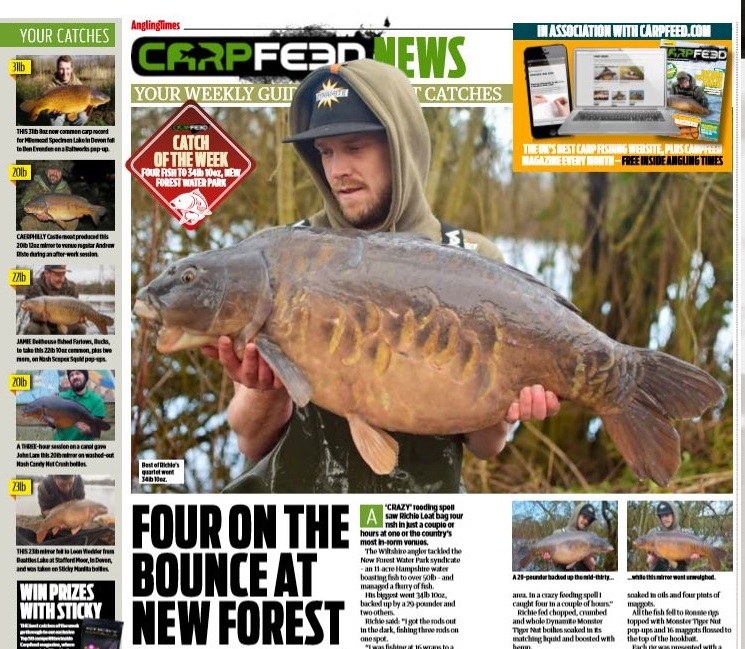 One of the highlights of Richie’s winter came during a hectic weekend sessions when he banked no less than three forties, including two within minutes of each other, fishing on the New Forest Water Park syndicate. It was a haul which made the headlines of several website and printed publications. Watch the video of one of Richie’s successful sessions….